Great design and functionality merge together in the Harbour Collection Slat Side Table. Comprised of all-weather POLYWOOD® lumber available in a variety of colors, this eco-friendly table is the perfect addition to your outdoor space. Proudly made in the USA, this durable side table comes fully assembled and is built to withstand the elements, ensuring it will be enjoyed for many years to come. Styled with unique décor or a spread of hors d'oeuvres , the Harbour Collection Slat Coffee Table is the ideal accessory for your outdoor living space. It’s the perfect accent to the Harbour Collection Sofa, Settee or Chair to create a cohesive look. 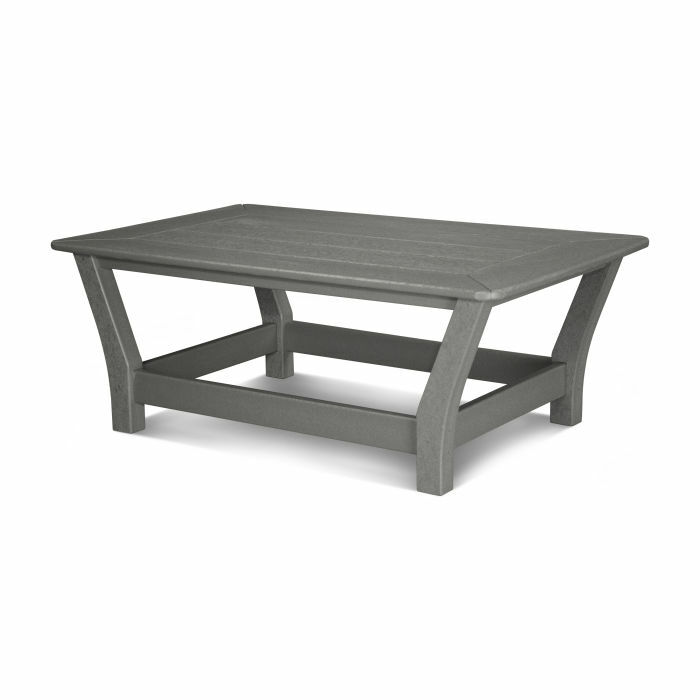 This durable coffee table comes fully assembled and is made with all-weather POLYWOOD® lumber, giving you peace of mind that it will last for years to come.